The National Popular Vote (NPV) initiative proposes an agreement among the states, an interstate compact that would effectively achieve direct popular election of the President and Vice President without a constitutional amendment. This book monitors the NPV’s progress in the states and identifies and provides an analysis of further developments as warranted. When Americans vote for President and Vice President, they are actually choosing presidential electors, known collectively as the Electoral College. It is these officials who choose the President and Vice President of the United States. The complex elements comprising the Electoral College system are responsible for one of the most important processes of the American political and constitutional system: election of the President and Vice President. A failure to elect, or worse, the choice of a chief executive whose legitimacy might be open to question, could precipitate a profound constitutional crisis that would require prompt, judicious, and well-informed action by Congress. 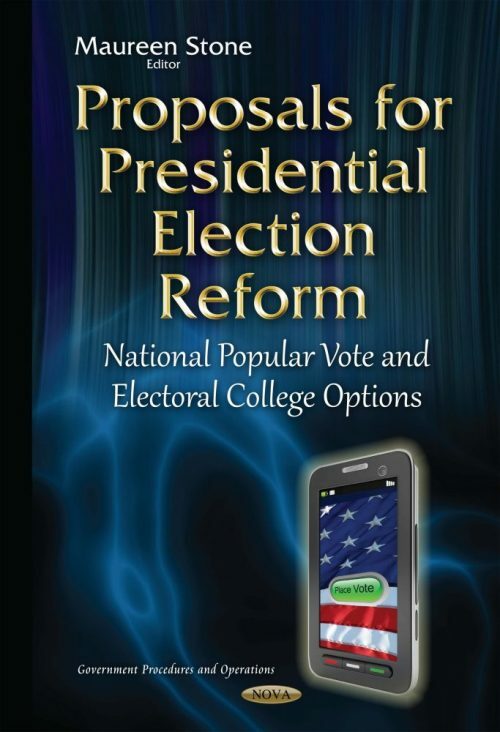 This book discusses the contemporary issues for Congress and how the Electoral College works in contemporary presidential elections.